Although you may not be able to claim compensation if Robbie Williams wasn’t up to scratch or if Hamlet had an off night, as a ticket holder you are nevertheless entitled to certain rights. Ticket traders must always provide clear and accurate information regarding prices. Traders must always inform you of the face value of the ticket, so that you can clearly see how much has been added in additional fees. Traders must always inform you where the seat is located before you purchase a ticket. Tickets must be delivered to you within sufficient time to attend the event. If you are unsatisfied by failure to comply with any of these then this constitutes a breach of contract and you are entitled to compensatory action. Unfortunately if you bought your ticket from a private seller then you have fewer rights if things go awry. It also might prove harder to track the seller. 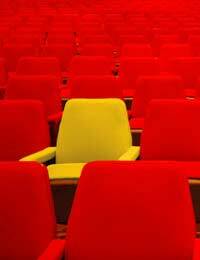 If, when you attend an event, you are unpleasantly surprised to find that your seats offer a restricted or obstructed view of the performance then you are entitled to complain. If there is an aspect to the seats offered that might spoil your enjoyment of the event – such as an obstructed view - then ticket sellers are required to inform you before purchase. This would constitute a breach of contract and you would be entitled to ask the ticket seller to refund of the money to compensate for your loss of enjoyment. You would also be entitled to claim compensation if the seats were otherwise not as described, such as being situated at the back of the theatre instead of the front. It is of course to difficult to put an exact price on how much enjoyment was sacrificed. Not only must the seats be as described but all aspects of the ticket, including the venue and the artist expected to perform. The description of the event provided by the seller, whether in person, on the phone or on the website, forms the basis of the customer contract. If the seller breaches the terms of this contract then you are legally entitled to a refund. If the seller refuses your demand then you have the option of taking them to the small claims court. Also if you believe the company has broken the law by misleading customers then you should report them to trading standards. In accordance with the Supply of Goods and Services Act 1982, ticket buyers should expect the service provider to attend to their custom with due care and diligence. This means customers should also expect their tickets to be delivered within sufficient time to attend the event. Although it is common for tickets to be sent out fairly close to the day of the event, if you have not received them 48 hours before then you should call the ticket agent. If tickets do not arrive in time for the event then you are within your rights to purchase tickets elsewhere – at the equivalent price - and then claim the cost back from the original seller. Alternatively you should also be entitled to a refund or tickets to see the event on a different date. Only buy tickets from a ticket agent that is a member of STAR (the Society of Ticket Agents and Retailers). Such service providers will operate to an approved standard but if something does go wrong then they offer customers a complaints scheme. Safely file away all correspondence relating to your ticket booking. Always check the agent’s terms and conditions before purchasing a ticket. Always check the ticket is correct and as described as soon as it has been purchased. This will make it easier to rectify any problems with customer service.